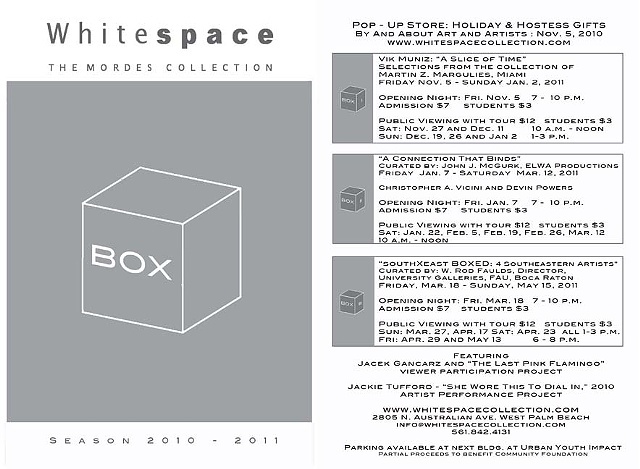 Whitespace Collection: Season 2010 - 2011 Exhibit Card design. Three main exhibits featuring local and national contemporary artists and curators. Whitespace Collection is the private collection of Marvin and Elayne Mordes in West Palm Beach, FL.